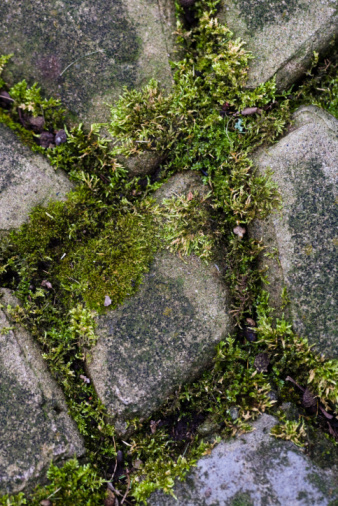 Moss can grow on or between bricks and pavers. Combine 1/2 cup of household bleach with 5 cups water in a spray bottle. For smaller or larger quantities, mix 1 part bleach with 10 parts water. Spray the moss until it is saturated with the bleach mixture. If possible, also spray the root system. 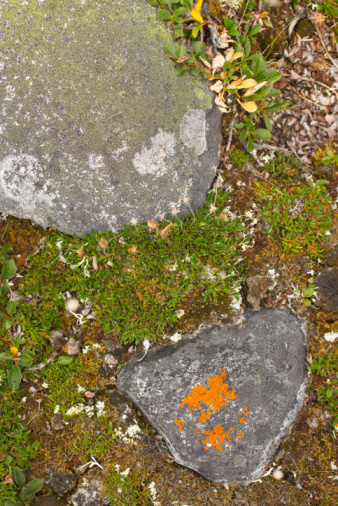 Continue spraying the moss once or twice per day until it turns brown, indicating it's dead. Pull up any larger, plant-like portions of moss, in the same way you would pull a weed, for removal. Use a water-dampened cleaning brush to scrub away any remnants. Mix 1 cup of household bleach with 10 cups of warm water in a small bucket. Dip a cleaning brush into the mixture. Scrub the brick to remove any green moss stains. Hose the bricks down to remove the bleach from the brick.